In Brisbane, with our harsh climate and weather, natural turf can quickly turn into a dirt bowl or mud bath. And neither of these scenarios is very well suited to kids play areas. Which is why, at Turf Green, we supply high-quality artificial grass for schools. There are so many advantages to using a synthetic grass instead of natural grass at schools. It allows kids to have safe, clean and fun playtime all year round. Natural, lush, long green grass is great for schools. But the reality of natural grass is that it’s rarely like this for any stretch of time—especially in school playgrounds. Schools are one of those unique environments where lunchtime sees hoards of kids sprint out across the grounds, jump up and down and fall over each other. And if your school has natural grass, it can cop a lot of wear and tear from these excited youngsters. Natural grass at schools can be very hard to look after, especially during dry spells. It often turns brown, dies, or disappears altogether, leaving patches of exposed dirt. Artificial grass for schools offers many benefits over natural grass and other play surfaces. no fertiliser, pesticides or other chemicals used on the grass. Contact us for a quote for artificial grass at your school. Our range of artificial grasses is 100% safe for kids of all ages. We take pride in producing the highest-quality products that we’d be happy for our own children to play on. All Turf Green grasses are non-toxic and free from heavy metals. We’ve designed our synthetic grasses with kids in mind. As any parent will know all too well, part of growing up means falling down—regularly. That’s why we design and install our artificial grasses so they comply with ‘soft fall’ requirements. This means that when kids fall over they’re going to have a relatively soft landing. 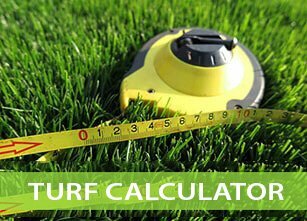 So much so that our grasses are often safer than other traditional play surfaces and natural grass. 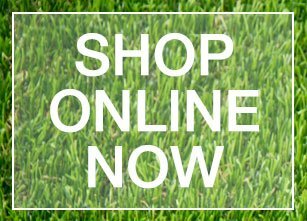 If you’d like to read more about our products, head over to see our types of artificial grass or FAQ page. Turf Green has installed our artificial grass in numerous schools across Brisbane, the Redlands and Logan. Below are some examples of projects we’ve worked on recently.